Ask an Agent! We provide free professional assistance to travellers. Let us find you the best Emirates flight deal from Durban. See our flights from Durban page for a full list of flight routes from Durban's King Shaka International Airport. 2016-10-31: Emirates Airlines has added four additional flights between Durban and Dubai this December. Additional flights are available on the 17th and 24th of December and the 2nd and 6th of January 2016. Flight EK2676 will depart Durban at 13h40 and arrive in Dubai at 23h55. 2014-10-21 : Emirates will be increasing its operations in the South African market this holiday season. The airline will be adding four new flights between Durban and Dubai for the South African summer holiday season. The new flights will be operated on the 17th, 27th and 31st of December and the 11th of January. Emirates are expecting an increase in passenger numbers over the holiday season as families living abroad come to South Africa’s sunny shores to visit friends and family. 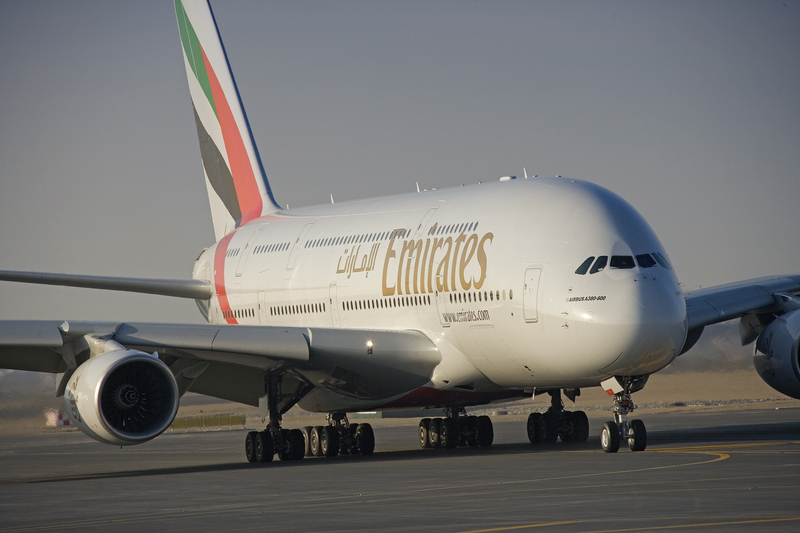 2013-12-23 : For the first time ever, Emirates adds an extra King Shaka flight, to cope with the "unprecdented" demand. Load factors during December 2013 averaged 95%, compared to an average over 2013 of 80%. 2012-06-01 : Emirates switches from using an Airbus A330-200, to a Boeing 777-300ER on its Durban to Dubai flight route. This introduces a first class lounge and also increases capacity on the route by 30%. "During the last three years, we have experienced positive passenger growth which we attribute to the growing recognition of this city as a popular tourist destination and its increasing influence as one of the key trading hubs in South Africa. As a result, we have enhanced our services here with the introduction of a larger B777-300ER aircraft that will cater for more passengers travelling from Durban to our extensive global network," said Emirates Senior Vice President Commercial Operations – Africa, Jean Luc Grillet. "Since this route’s inception from October 2009, Emirates has greatly contributed to the passenger growth experienced at the old Durban airport and now at the King Shaka International Airport (KSIA).” ”This has become a popular flight and demonstrates Durban’s growing status as a destination of choice. Our team at KSIA has always and will continue to support the Emirates team in Durban." said the General Manager of ACSA King Shaka International Airport, Terence Delomoney. 2009-12-19 : Five passengers suffer minor injuries when Emirates flight EK775 from Dubai to Durban encountered a 2-second period of severe turbulence and plunged as it entered South African airspace just prior to descent into Durban. 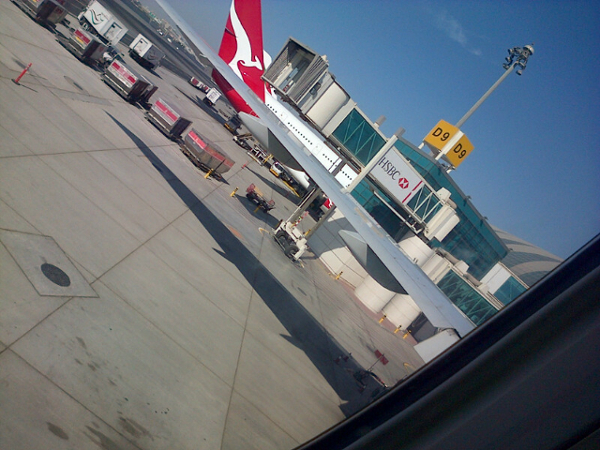 2009-10-01 : Emirates starts daily flights between Durban and Dubai. 2008-10-01 : The original date from which Emirates planned to start daily flights between Durban and Dubai, but they postponed these plans in June 2008 (citing high fuel prices). Note that views expressed here are not necessarily those of South Africa Travel Online. It sure is all happening in Durban at the moment. Well done and good luck to Emirates. We'll be watching this spot closely.